Sekera goes a long way to legitimize the Oilers D but they sure have a long way to go. The top pairing of Sekera and Fayne will have a hard time playing the tough minutes against the best players in the NHL but there really isn’t any other choice, Klefbom has shown some ability to face tough competition but he’ll be anchored once again by Justin Shultz so will likely be put into easier situations. The 3rd pairing of Ferrence and Gryba will most likely have Nikitin subing in for either guy on a regular basis and the pairing will play limited minutes 5×5 and a good chunk of the penalty kill. Will Justin Shultz learn to play defense and become an actual top 4 NHL defencemen? This is a big deal, Shultz could easily get passed by Nurse or Reinhart this season and be gone before next season begins. Does Nikita Nikitin belong in the NHL? Nikitin will have the opportunity to prove that he belongs and the potential is there that he could be playing top 4 minutes this season, although he could just as easily be a healthy scratch most of the season and go back to Russia when its all over. Does Andrew Ferrence have anything left in the tank? Ferrence is on the down slope of his career but he’s a warrior and may have enough in the tank for another season. Used in correct situations and limited minutes I think he can still contribute to the Oilers but I don’t see how he doesn’t get passed by Nurse, Reinhart and Davidson. How long will it take for Nurse and Reinhart to make an impact? They’ll both start in the AHL but at some point this season they’ll both get a chance and I don’t think either will disappoint. Between injuries or trades spots will come available for these two and once they get to to the NHL they won’t be sent back down. Will Brandon Davidson get lost in the shuffle? Brandon Davidson will have a future in the NHL, this kid just doesn’t give up! 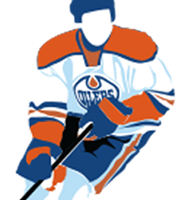 The problem however in Edmonton is that he has too many guys ahead of him even though they may only be there based on experience and not ability. If Davidson doesn’t make the team out of camp he will need to clear waivers to be sent to the AHL. Is the Defense Better This Season? Dallas Eakins was clearly on crack! With Shultz and Hunt leading the D in minutes its no wonder Ben Scrivens lost his confidence in net. Clearly the coaching staff will have a large impact on how the D performs this year just by putting the right players in the right situation. Oh and btw while Brad Hunt played over 20 minutes in that game Oscar Klefbom sat in the press box.